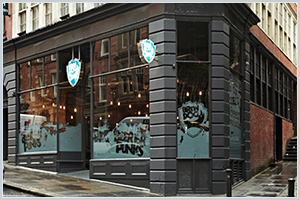 Brewdog Newcastle | Pub Quizzers | Find a pub quiz near you, now. Pub quizzes take place at Brewdog Newcastle , Dean Street on Tuesdays (weekly) at 19:00. Entry is £2.00, you can have up to 10 people on a team. There are prizes of cash, drinks. Happy quizzing! Win BrewBucks, Beer and a CASH jackpot. Follow @CompleatQuiz for a daily question and a clue for tonight’s quiz.